Shahid Kapoor and wife Mira Rajput made their debut as showstoppers for designer Anita Dongre at Lakme Fashion Week 2018. "Padmaavat" actor Shahid Kapoor and wife Mira Rajput, was the first couple to walk as showstoppers for designer Anita Dongre, on Day 1 of the Lakme Fashion Week 2018, held in Mumbai. Shahid and Mira looked like a couple straight out of a fairy tale. Their Instagram pictures are a proof. 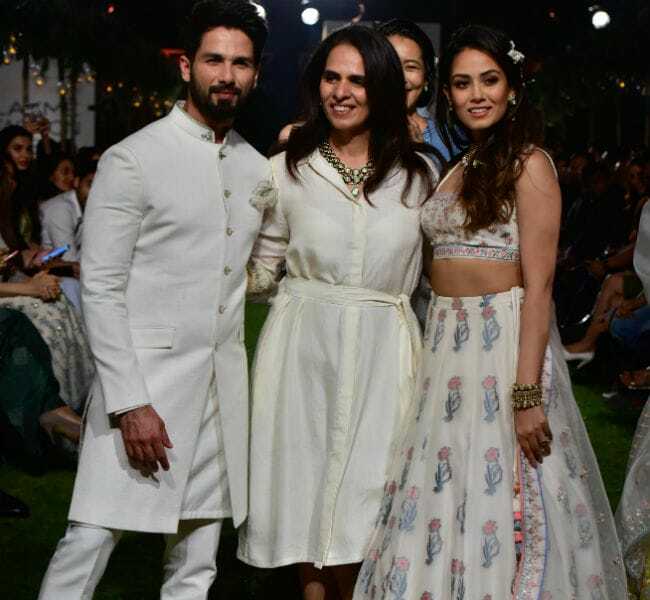 Dressed in an ivory bandhgala-sherwani, Shahid Kapoor looked a dapper groom and wife Mira looked an ethereal bride in a matching floral-printed lehenga choli. 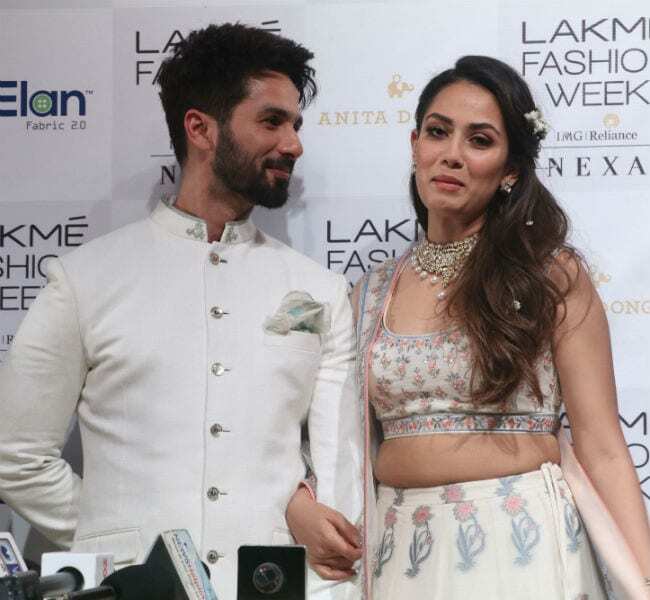 Shahid Kapoor and Mira Rajput, who for the very first time walked as showstoppers for designer Anita Dongre, also made their debut at the Lakme Fashion Week 2018. After the show, Shahid tweeted, "Excited to have walked for @anitadongre 's @lakmefashionwk collection tonight. Great to see creations that will truly define #FutureCouture, designed with exclusive fabrics of the future from R | Elan @RElanOfficial." Shahid Kapoor has walked the ramp for Lakme Fashion Week, before, but it was Mira's debut at the ramp. Also, it was their very first walk as showstoppers for Lakme Fashion Week. Designer Anita Dongre posted a picture of her along with her showstoppers for the night, which she captioned: "Here's our bride and groom @mira.kapoor and @shahidkapoor singing the songs of summer @lakmefashionwk." Even the team of Lakme Fashion Week, couldn't resist posting a cute picture and a video of the couple. Last week, both Shahid and Mira had posted their "evening swag" pictures ahead of their appearance at the HT Most Stylish Awards. The couple even bagged the Most Style Couple Award, the same night and looking at their pictures, can we question the decision? Shahid Kapoor played the role of Maharawal Ratan Singh in the recently released "Padmaavat", also starring Deepika Padukone and Ranveer Singh. The film was released on January 25. Shahid will be next seen in Batti Gul Meter Chalu. The film is scheduled to release this year on August 31.